This new edition of a one-of-a-kind handbook provides an essential updating to keep the book current with technology and practice. 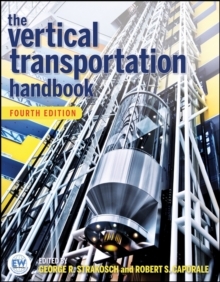 New coverage of topics such as machine-room-less systems and current operation and control procedures, ensures that this revision maintains its standing as the premier general reference on vertical transportation. A team of new contributors has been assembled to shepherd the book into this new edition and provide the expertise to keep it up to date in future editions. A new copublishing partnership with Elevator World Magazine ensures that the quality of the revision is kept at the highest level, enabled by Elevator World's Editor, Bob Caporale, joining George Strakosch as co-editor.